18.9L (5 Gallon) and 11.3L (3 Gallon) are both suitable for above dispenser models (except for Mini). 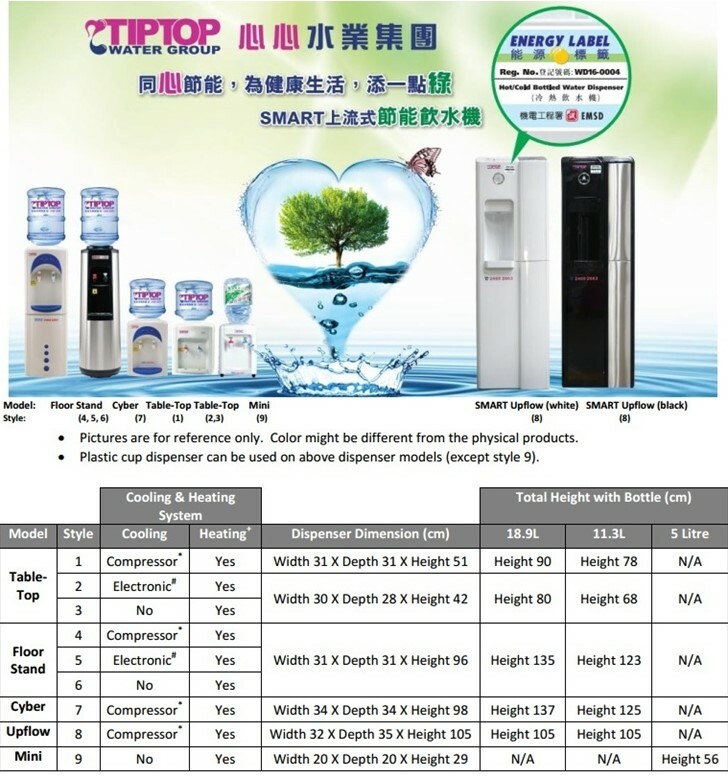 Only 5L is suitable for Mini dispenser. Do not place dispensers or bottled water near expensive furniture, appliances or power sources as water spill can cause serious damages. It is recommended to place a dispenser on a plastic mat. For hygiene purpose, it is recommended to clean and sanitize dispensers every 9 months. Lifting heavy items (e.g. 18.9L bottled Water) increases the risk of hurting your back. Using an upflow dispenser helps reducing the need of lifting up water bottles.